A look at Shell's new energies investment strategy. Shell has accelerated its transition into new energies in the last few years, particularly in the power sector. Shell is becoming one of the best examples of how oil and gas titans are diversifying asset portfolios and investing billions in clean energy. We sit down with Brian Davis, Shell’s vice president of energy solutions, to discuss the way ahead for Shell New Energies just days before he flies to Austin to join us for Power & Renewables Summit next week. There, he'll speak about the transition into the energy markets of the future alongside Austin Energy, AEP and Marathon Capital. GTM: What parts of the renewables value chain make the most sense for oil and gas majors like Shell to play in? Brian Davis: We are looking to build on our strengths and capabilities in oil and gas production and marketing to grow our renewable power business. We already generate electricity from renewable sources, and we are looking to expand our capacity here through development of more wind and solar generation projects. We also buy renewable power from other producers. We trade power through our trading business and sell power to end customers, commercial and industrial, as well as residential. In the business that I represent, Shell New Energies, we could invest up to $1 billion to $2 billion a year until 2020 in power and new fuels. That might seem modest by oil and gas standards, but we can do a lot with it in this space. That is part of us evolving into an all-around energy company, aiming to provide more and cleaner energy to our existing and future customers. GTM: Shell has been one of the most active M&A players in clean energy with investments like MP2 and Silicon Ranch. What dictates its corporate development strategy in clean energy? Brian Davis: We have a customer-first approach. We would like to provide our customers with more choice of lower-carbon energy solutions. We are an energy company, and our objective is to meet the energy needs today and in the future. Electricity is the fastest-growing part of the energy system, and we aim to make power a significant business for Shell, one that in the future could sit alongside oil, gas and chemicals. We first started supplying commercial and industrial customers in North America more than 20 years ago. As you noted, over the last two years we increased the amount of electricity we supply directly to commercial and industrial customers, as well as residential ones, with our recent acquisition of MP2 Energy in the U.S. and First Utility in the U.K. Our investments in the Borssele 3 and 4 wind farm project in the Netherlands and the solar company Silicon Ranch Corp. in the U.S. have increased our involvement in renewable power. And we do not limit ourselves to only providing molecules and electrons. We are also expanding the offering of energy solutions to our customers. Just recently we launched our bundled energy offering to commercial and industrial customers in North America, Shell Energy Inside. We work with customers to help them meet their cost, sustainability and resiliency goals by delivering seamlessly integrated behind-the-meter energy products and services. GTM: How do you see distributed energy business models evolving over the next five years? What are the key market differences between Europe and the U.S. when it comes to DERs? Brian Davis: We believe DERs will become more integral to solving distribution-level issues brought about by...larger-scale renewables production, [as well] as EV charging and other services that stress distribution lines in a way they were never designed for. DERs will have to stand more on their own benefits...absent subsidies and/or special programs designed to encourage adoption. An example of the latter is net metering. This topic is already under review in a lot of locations in the U.S. So for business models, those DERs will have to rely on a tangible benefit they can deliver that helps the customer behind the meter, as well as the network they are connected to. We see many of the same trends driving DER adoption, like falling equipment costs that give consumers access to their own power and a feeling of some independence or control from changing energy or distribution costs; a strong push to reduce energy consumption and secure cleaner sources of power (so energy efficiency and renewable sources like PV); and a desire to control their energy needs and in a unique way, but without the complexity. But further adoption is more nuanced. For example, in the U.S., areas prone to significant weather events are driving DER adoption for resiliency reasons alone, in addition to customers wanting more control of utility costs (the “wires charges”). We also see an emerging trend where communities are looking to build their own energy networks or sources of supply, locally produced and in ways that are very low-carbon, and with limited net import or export from the grid. In Europe, with policies that promote renewable DERs or large-scale renewables, there would be a need for additional distributed assets to manage grid reliability and balance more intermittent sources of generation. 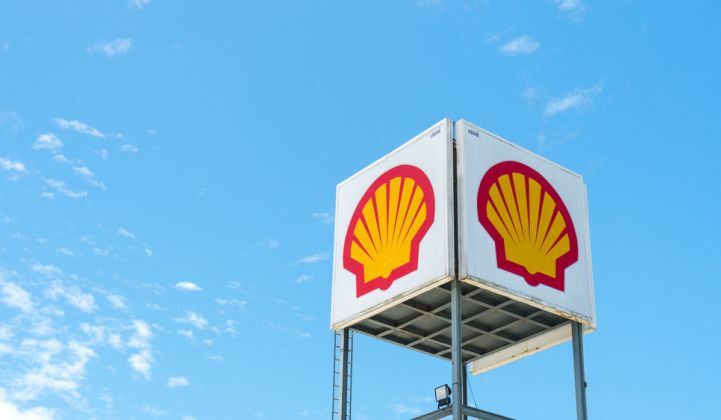 GTM: It was recently announced Shell will be partnering with NREL for the Shell GameChanger Accelerator (GCxN), a multimillion-dollar accelerator program primarily focused on long-term energy storage technologies. Can you explain more? Brian Davis: GCxN covers a broad range of areas in New Energies Research & Technology. For the first year, long-life battery storage is indeed one of the focus areas, alongside “grid of the future." We understand that a single company or idea would not be able to revolutionize the whole of the energy system. And we work in partnerships like this one as we recognize that the next best idea is likely to come from a range of sources. In terms of storage, lower-cost and more robust technologies are needed for extended-duration applications, particularly when paired with large-scale renewable energy generation. While the term "energy storage" has often been used interchangeably with "batteries," the range of potential storage options broadens at longer durations and larger scales, since the energy system requires not only electrons but also heat and cold. Cost and system integration will also play key roles in progressing these technologies. We have already invested in several companies that provide novel storage solutions. Axiom Exergy is a Californian startup that provides thermal storage tanks and integration software to supermarkets, cold-storage facilities and food processing plants. We also invested in the German company sonnen, which provides smart battery storage systems alongside solar panels for homes. Come to Austin next week for Power & Renewables Summit 2018 to join Shell and other leading energy players, including Exelon, ERCOT, FERC, First Solar, APS, LADWP, AEP, Tesla and many more. The event will gather industry views on how renewable energy integration, decarbonization, electrification and the growing need for increased capacity and flexibility are impacting electricity systems.